The Heat seem to have embraced their role as the villains of the NBA since LeBron James decided to take his talents to South Beach in the summer of 2010. In the way they talk and now in their uniform choice, most everything about the Heat shows they embrace their image. 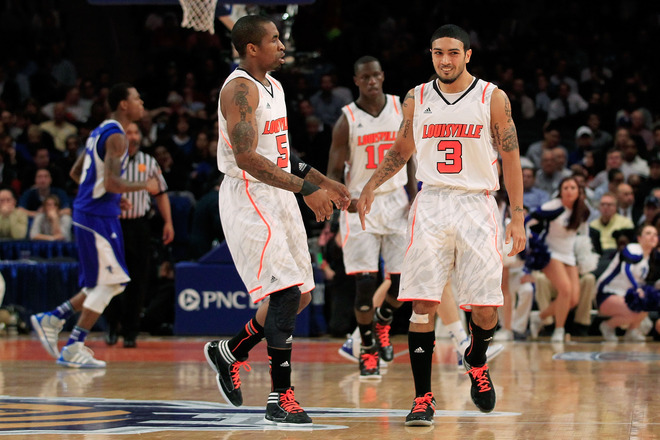 That was taken to a new level Thursday night when Miami decided to go with a simple black and white uniform. No signs of red or yellow that a usual Heat uniform might feature. 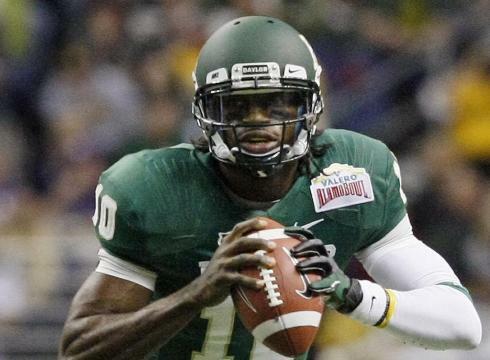 No, this one looked like a practice jersey. It was a bad choice for many reasons for Miami. It also made the Lakers go with their yellow home jerseys on a court that has yellow paint. 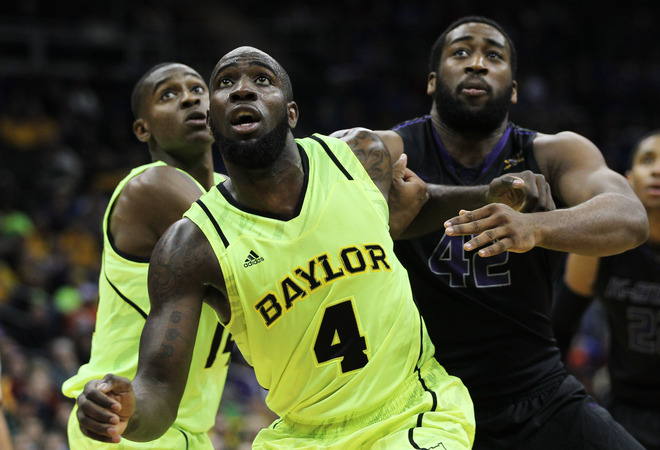 The effect made the game difficult to watch because of the bright colors when the teams were in the half-court offense. 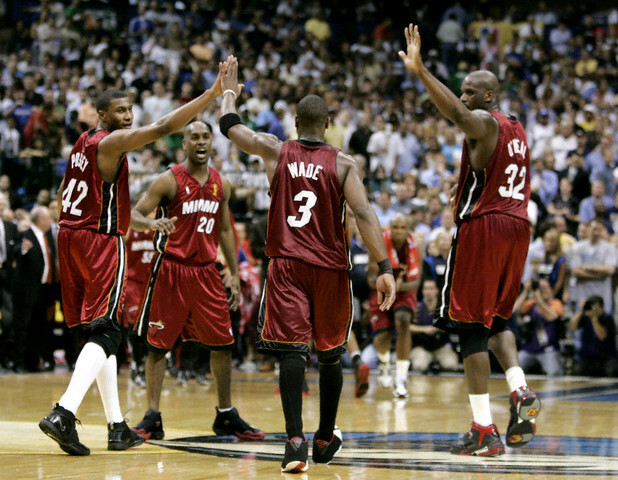 Hopefully, we never see something like this again from the Heat. Just a quick aside here, Virginia Tech went with a gray look at home against North Carolina on Thursday night. This could turn into a trend in college basketball very soon. 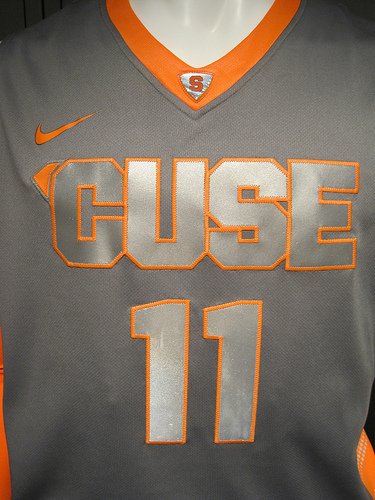 Shades of gray for Syracuse? 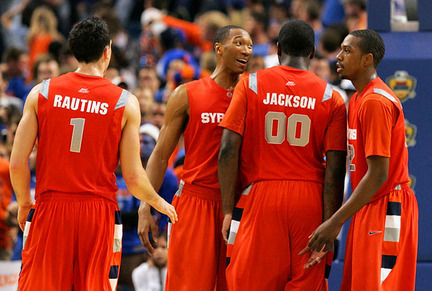 The great Paul Lukas, who made it OK to take on this uniform obsession with Uni-Watch, has started up a bit of an uproar today when he said there is word the Syracuse Orange may opt for a gray look in the upcoming weeks. 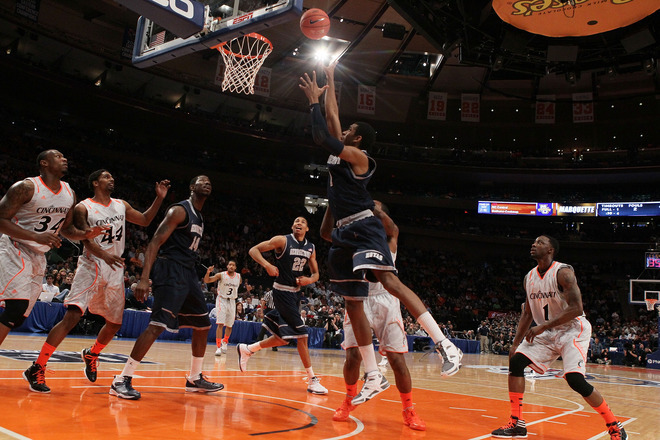 Rumors are it could come against archrival Georgetown on Feb. 8. 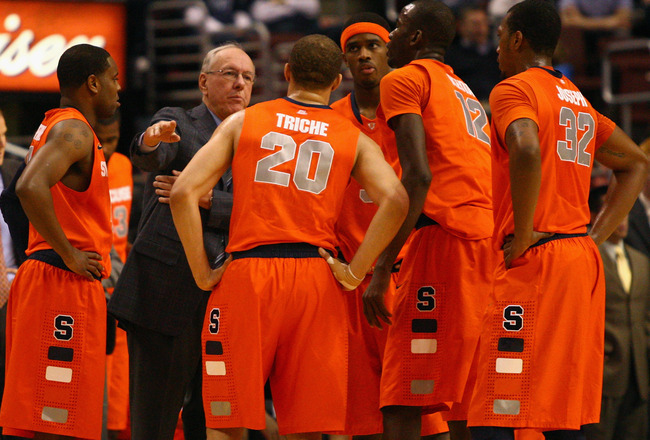 The Orange have not been shy about changing uniforms in recent years as they were one of the first to go with the space-age type silver lining along the shoulders. The variations have always been slight, with the exception of a blue alternate the team wore against Notre Dame a few years back. The fact this change may come against Georgetown may only upset the fanbase more because of the Hoyas’ inkling toward that plain color. 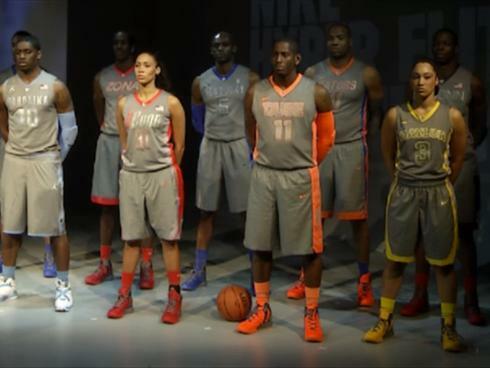 We’ll reserve judgement until the uniforms actually make their debut on the court.